Can a goldfish kill a man? Hypothetically, but it would have to be an extraordinary goldfish and not much of a man. Thus we have the tale of Bubbles, a mutant goldfish, and Les Wellborne, a human resources manager in St. Louis, Missouri. The two conspicuous consumers collide in an appalling genetic explosion in John T. Sonne's novella, BUBBLES, a satirical tale of horror without redemption. Initially, Bubbles is forced to wait for prey to happen by its backyard pond. 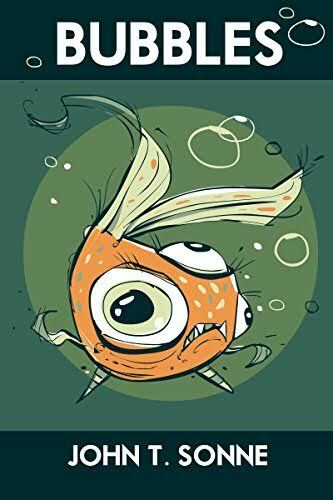 The mutating goldfish soon leaves the pond, aided by the ability to take on the characteristics of the creatures it consumes. The cute little carp quickly turns into an incredibly creepy critter with an insatiable appetite. The constantly evolving beast will destroy more than two households in a weekend filled with mayhem.